Fluid reservoirs and tanks require complex geometries in order to fit between existing system components under hood. Oftentimes last minute engineering changes in the surrounding environment require a design change to the reservoir or tank. Working with a supplier who understands these nuances will help you mitigate risk and succeed in delivering a quality part in time and on cost. 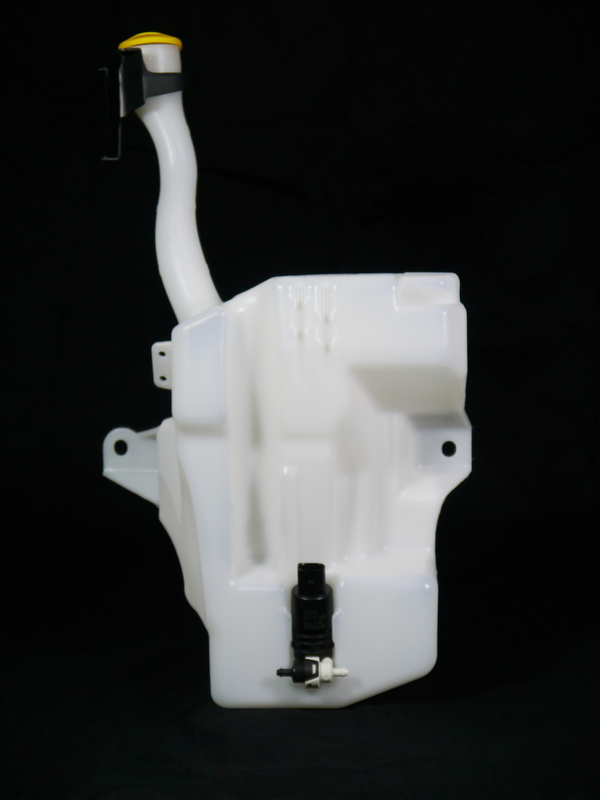 That’s why OEM’s and Tier 1 automotive suppliers rely on Regency Plastics to assist with the development and refinement of their part designs. Drawing from over three decades of experience and successful reservoir programs, Regency Plastics has built efficiency and quality into every step of the engineering and manufacturing process. Process Simulation: Using B-SIM, a cutting-edge blow molding simulation software, Regency identifies potential issues and opportunities for improvement – during the design phase, well in advance of production. This helps minimize wall thickness while maintaining performance requirements and eliminates the need for prototyping and re-tooling. 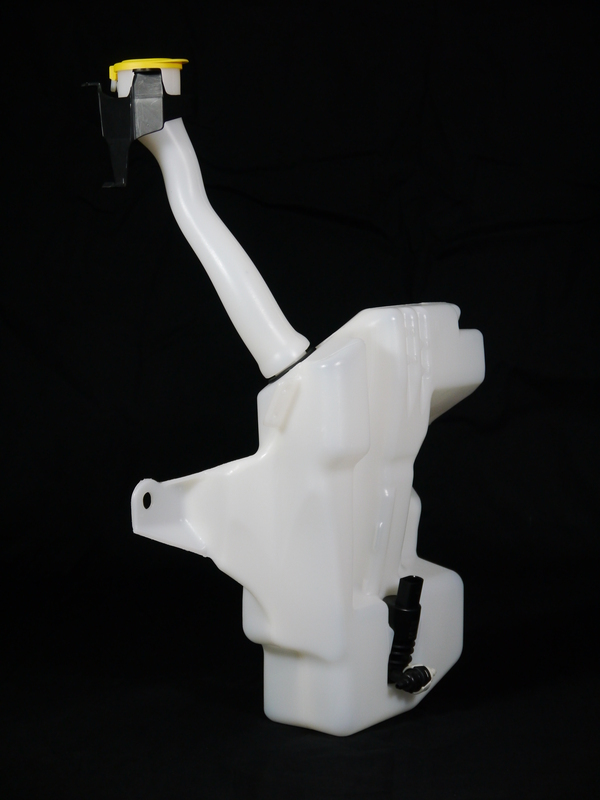 Process Consolidation: Using insert molding, Regency can integrate molded ports, clips, and brackets into the part during the blow molding process, eliminating the need for secondary processes such as welding and manual assembly. Using core movements and side-actions, Regency can create features that would otherwise require machining such as drilling and cutting. To save additional time and costs, Regency designs and builds blow molding tooling in-house. This provides better quality control and faster responses to engineering changes. Are you involved in or considering the development or production of any of these types of products? If so, Regency Plastics has the engineering expertise to help you optimize part performance while driving cost out of your product. The customer is a Tier 1 Automotive supplier, specializing in systems, components, and engineering services that enhance the safety, sustainability, and connectivity of motor vehicles. Their automotive division consists of 44 manufacturing plants, research centers, and test tracks in 15 countries. 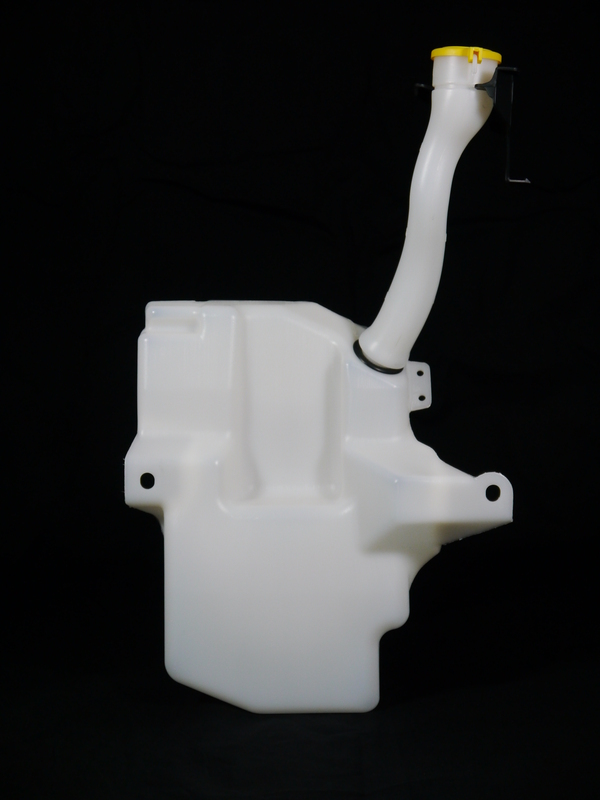 The customer needed help developing a washer fluid tank for an automotive OEM. The design and manufacturing of the of tank is inherently challenging. As the last part to be added into the underhood system, washer fluid tanks need to fit into the oddly-shaped space between existing components and the walls of the engine compartment. As such, they face tight packaging constraints and geometrical restrictions that are subject to change in the event of engineering changes in the surrounding system. 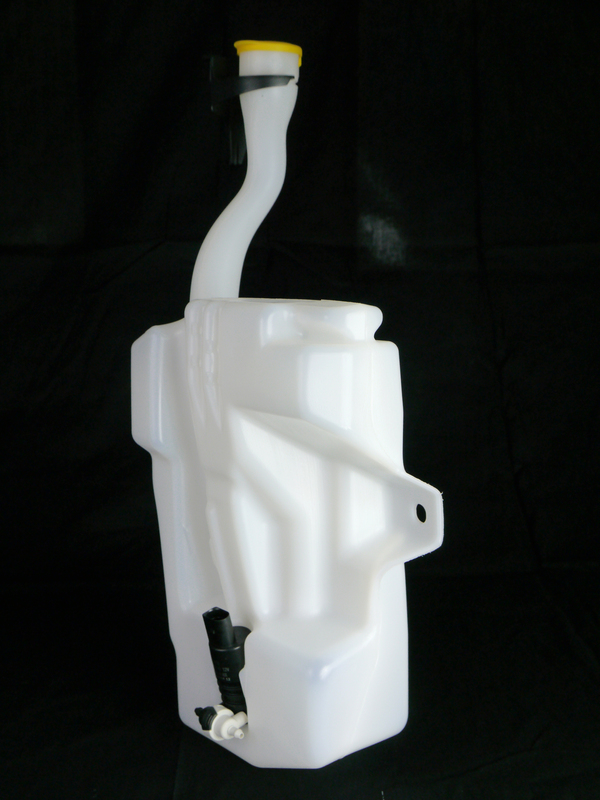 Adding to the challenge was the requirement that the reservoir was fixed-capacity and featured a separate fill neck with a leak-proof interface and retention pockets for the washer fluid pump and level sensor. In addition, all features had to be integrated without the use of additional assembly or secondary operations and the material had to pass freeze-thaw cycle tests. 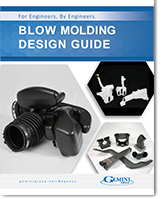 The complexities of the project couldn’t be handled by the average blow molder. The customer needed a supplier with experience in washer bottle design, molding, and tooling. One that was fast, could anticipate failure modes, and mitigate against risk. So, they turned to Regency Plastics. With four OEM washer bottle programs under their belt, Regency Plastics hit the ground running. To tackle the fill neck’s leak-proof interface, Regency developed a two-part solution: a machined OD on the wall of the neck coupled with a flexible gasket on the ID of the reservoir. This created the leak-free joint. Next, they added the fluid pump and level sensor retention features as independent inserts into the mold that could be moved or replaced in the event of engineering changes. This eliminated the need for tooling rebuilds, as well as the time delays and costs associated with them. Finally, Regency optimized the part design using B-Sym, a blow molding process simulator that predicts problem areas and reveals areas for improvement during the design phase. With the optimized design in hand, the customer shared the surrounding environment data and introduced Regency Plastics to their pump and level sensor suppliers. As with any complex engineering program, the customer could have easily suffered last-minute design changes and late delivery, tarnishing their reputation with the OEM. Instead, they recruited Regency Plastics to guide them to the finish line. In the end, the customer had a product that met performance expectations, delivered on-time and in-cost on a high-volume program of 400,000 parts annually. It’s likely they’ll be the first to be called on the OEM’s next washer fluid tank program. Don’t guess. Make your next project a success! Start the conversation today!